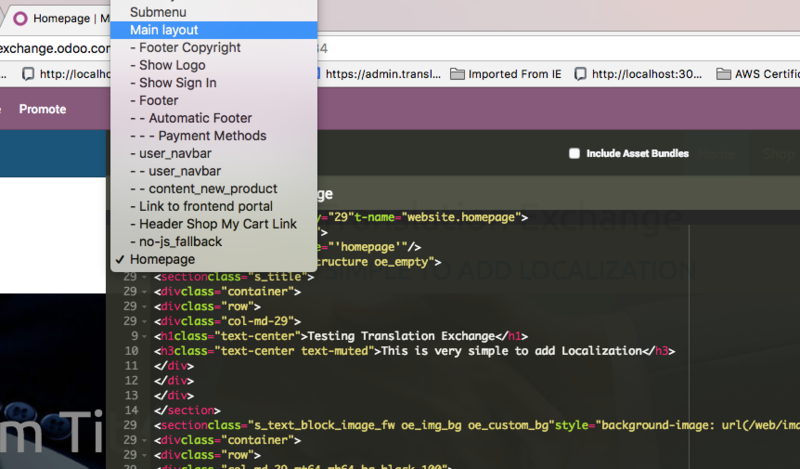 The following step by step tutorial will help you configure your Odoo Site with Translation Exchange service and allow you to translate your site to any number of languages. If you haven't yet setup your project on Translation Exchange, please sign up here and follow the project setup instructions. Step 1. Customize your Odoo theme HTML. 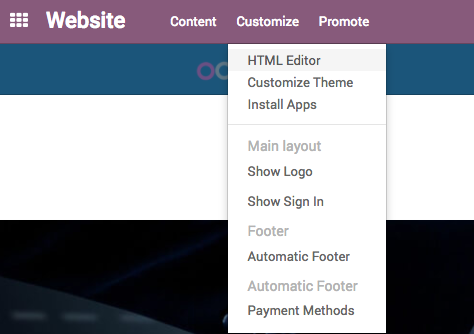 In Odoo website dashboard, click on Customize and HTML Editor. Copy the following code to the head section of your site. Make sure you replace "YOUR-PUBLIC-KEY" with your key, click the "Save" button. Step 3. Add links to change languages. 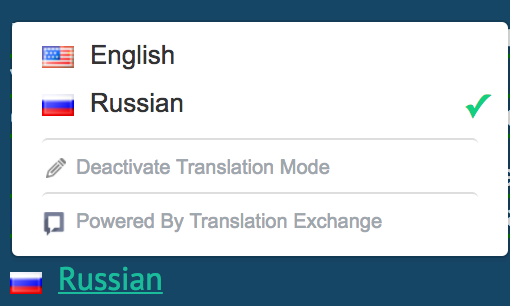 You can use one of our default language selectors for changing languages. Add the following "div" tag where you would like the language selector to appear. All your languages will automatically appear in the designated area. When you active the inline translation mode, your application content will be synchronized with Translation Exchange and your strings will appear in your Dashboard. Integration with your site is now complete. Please follow our simple tutorial on how to order and publish translations for your site.